This is a step that so many of us miss when we’re starting, launching and growing our businesses. We can spend way too much time looking at the things that we haven’t achieved and never make time to reflect on our successes. 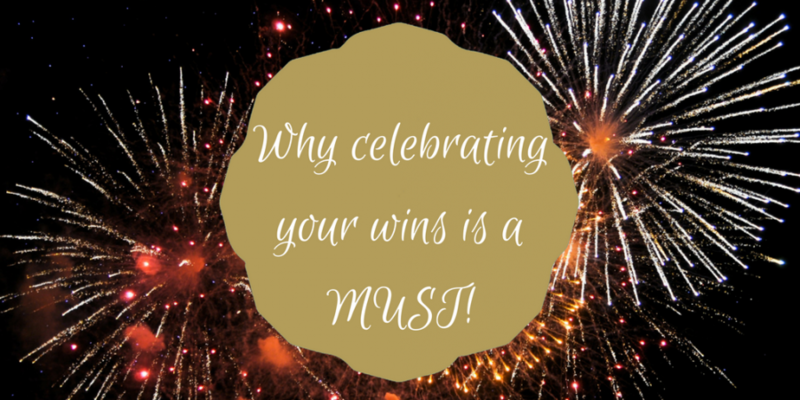 I often tell my clients to celebrate the small wins, but it’s only when speaking to another coach, they were able to point out to me that I wasn’t celebrating my own. This is why it’s so important to work with a coach, it’s so difficult to see the picture when you’re in the frame. Celebrating your success is a great way to build confidence, and the more confident you are, the more likely it is that you’ll do the things you need to do to progress your goals. If you had a goal to attract an additional £5,000 in sales this month, and you increased by £3,000 if you celebrate that increase your confidence will increase but if you focus on the £2000 you are short of, your confidence could go down, that low vibration will not serve you. Stay in the high vibration and it’s just a matter of time before you reach your goal. Celebrating your small successes, the steps along the way helps you to build momentum (Click here to read more about getting and staying in the creative flow for more momentum tips)! The 4 steps below are some suggestions of things you can do to celebrate your journey. Write down 1 thing every day that you could celebrate. Acknowledging your progress is a great first step for building confidence. This could be 5 minutes at the end or at the start of your working day. Monthly celebration, take yourself or your team out for drinks once a month (if your team is online organise an online meeting) and celebrate what was achieved over the month. It helps if you know what metrics you’re monitoring, metrics could be, calls you’ve made, email sign-ups, it doesn’t have to be sales but it could be. What do you do to celebrate your success?